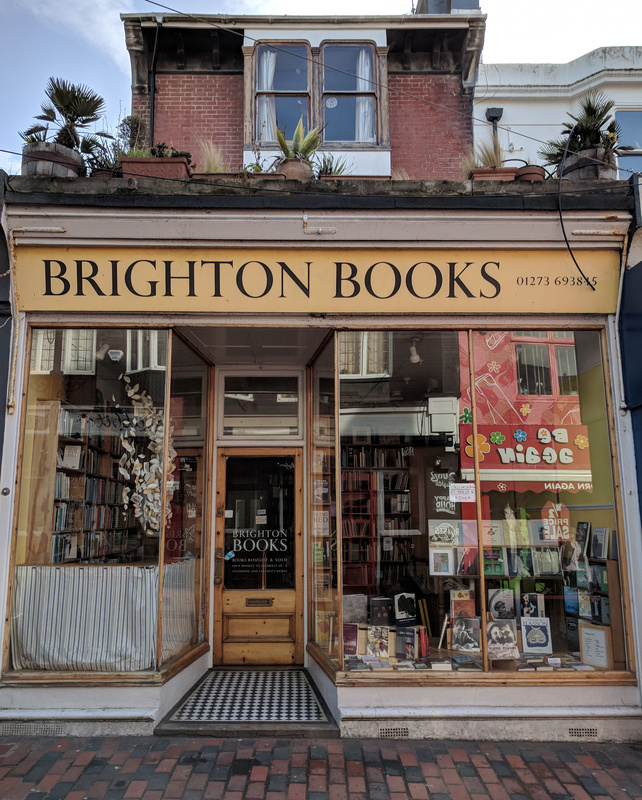 I recently had a few days away in Brighton, and while researching places to eat and sights to see of course I looked up where all the local bookshops were. Finding the bookshops is what I always do in new places (what self-respecting bibliophile doesn’t? ), but this was the first time I thought of documenting visits and sharing it on my blog. Brighton was awesome, with so many places for this vegan to eat, loads of little alleyways and streets to explore, and some really amazing graffiti art. But this blog isn’t about food, exploring, or pretty walls. It’s about BOOKS, so let’s get to it! The first bookshop I went in was Brighton Books, located on a wonderful pedestrianised street along with clothes shops and cafés. Once inside the hustle and bustle of the people outside faded away. 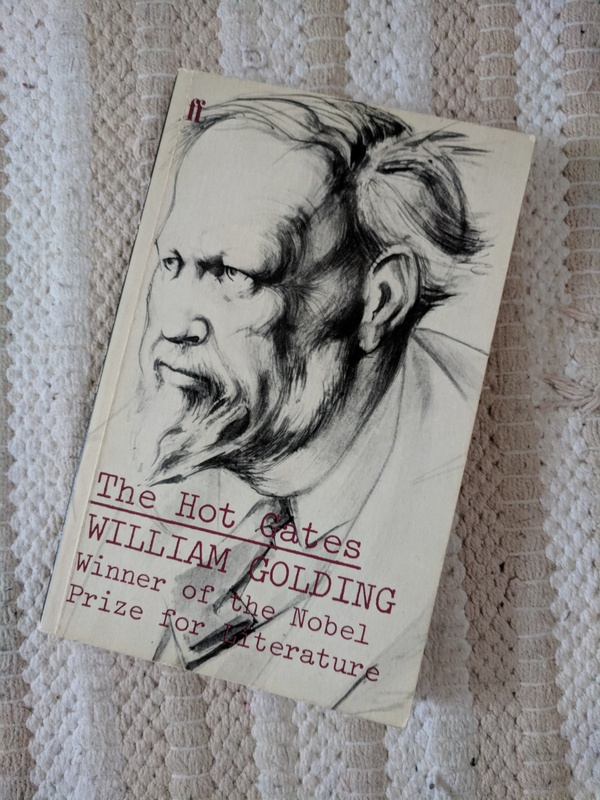 I had a blissful half an hour browsing the bookshelves, eventually picking out a book of essays by William Golding i’ve had on my ‘to acquire’ list for a while. 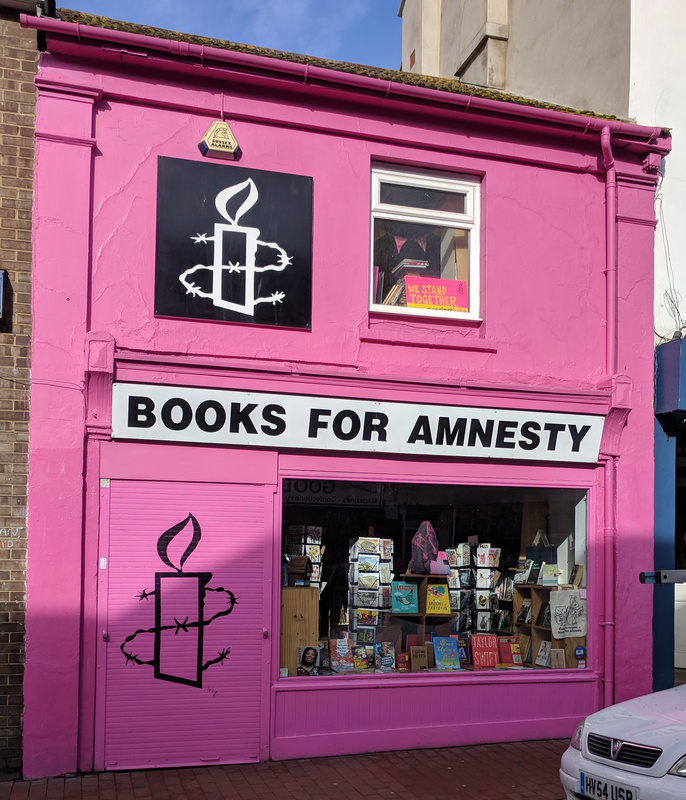 Next on my list of bookshops was Books for Amnesty, which was hard to miss as it’s painted bright pink! I loved this colour choice—it makes the whole shop stand out, but isn’t at all out of place in the colourful arty Brighton vibes. Although I didn’t buy a book here, the feeling inside was welcoming and put me immediately at ease. I could have browsed there all day, had they had enough books! 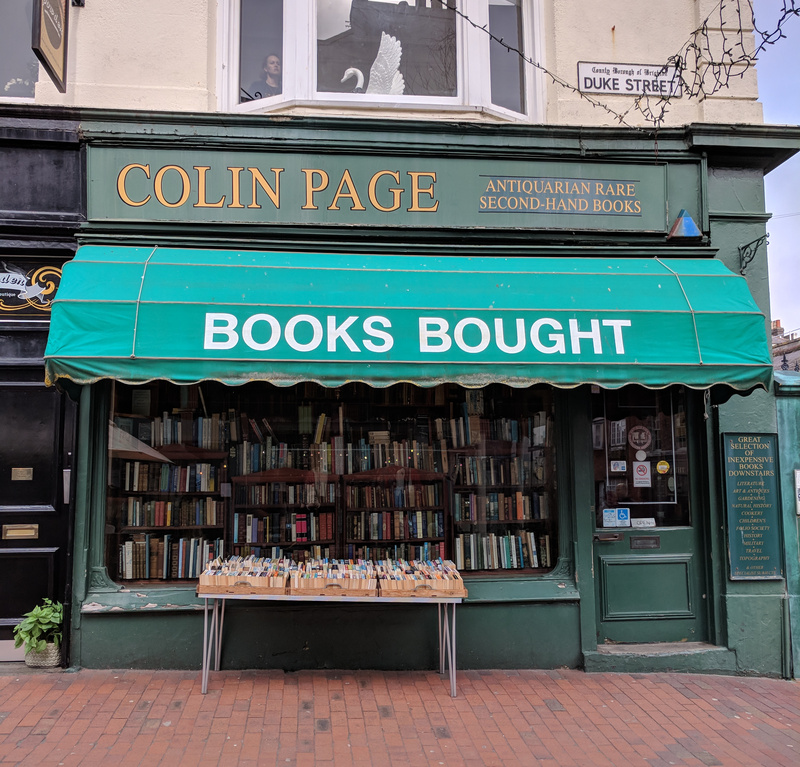 A bookshop that really caught my interest, and was backed up by a recommendation from a Brightonite bookstagrammer, was Colin Page Antiquarian Books. Immediately I could tell it was one of those wonderful bookshops, rammed full of books to get lost in, and that old book smell. It didn’t disappoint. 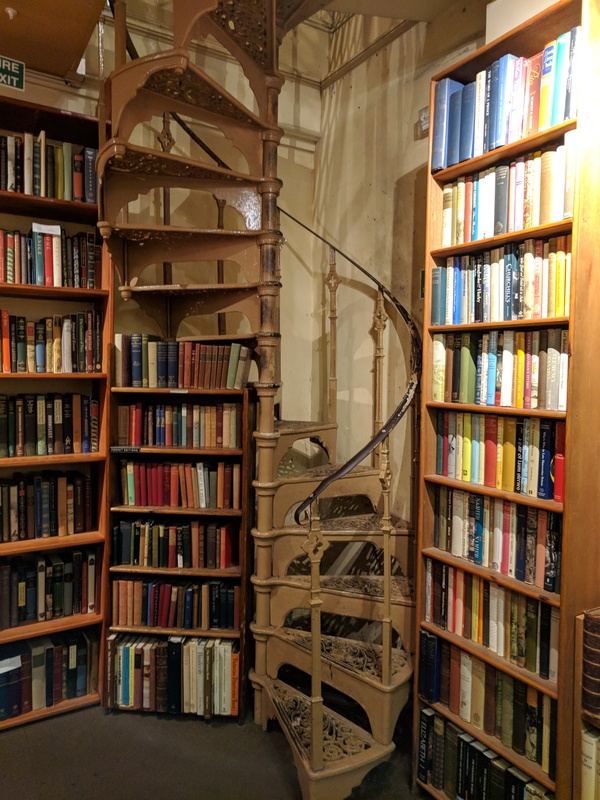 The books are down a mental spiral staircase, and the space is quite and still, almost library-like. Most of the books are hardback, with only a table out front covered with paperbacks. 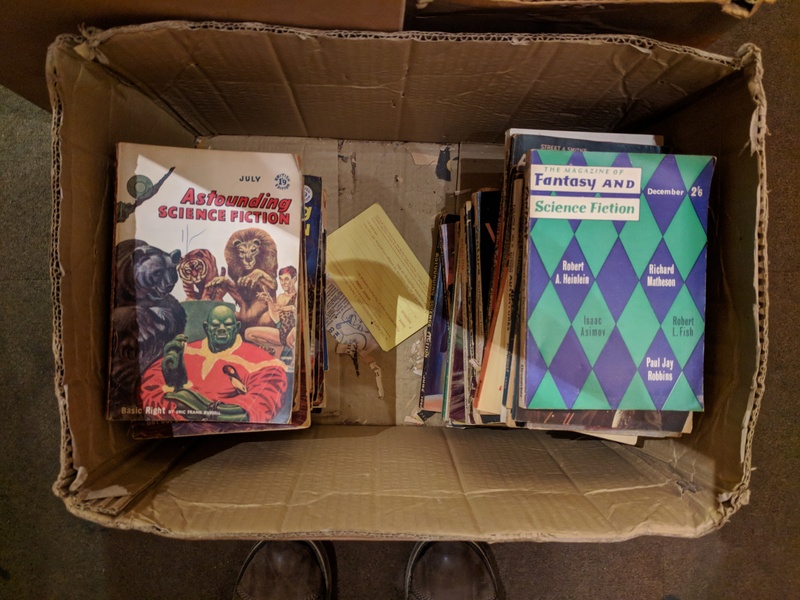 There were also boxes of literary magazines on the floor, including one full of old pulpy science fiction—if I hadn’t been getting the train back, that entire box would have come home with me! 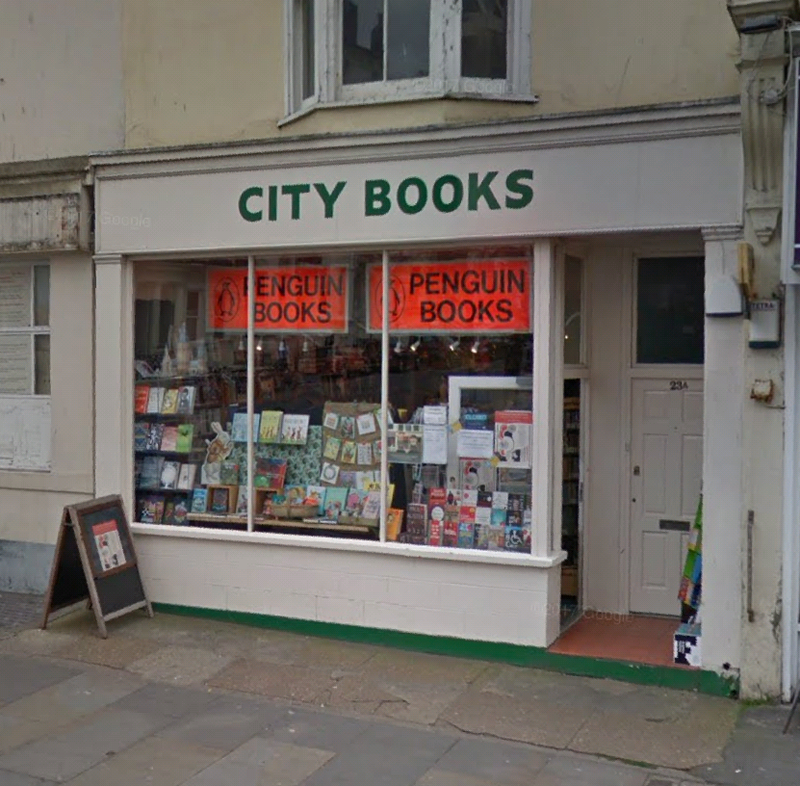 The last bookshop I went in was City Books, which is a typical independent shop selling new and modern books of all genres. I loved it. I saw many books i’d never heard of, but was enticed to pick up, read the back, and have a flick through. It’s exactly the kind of bookshop where I could easily spend a lot of money. 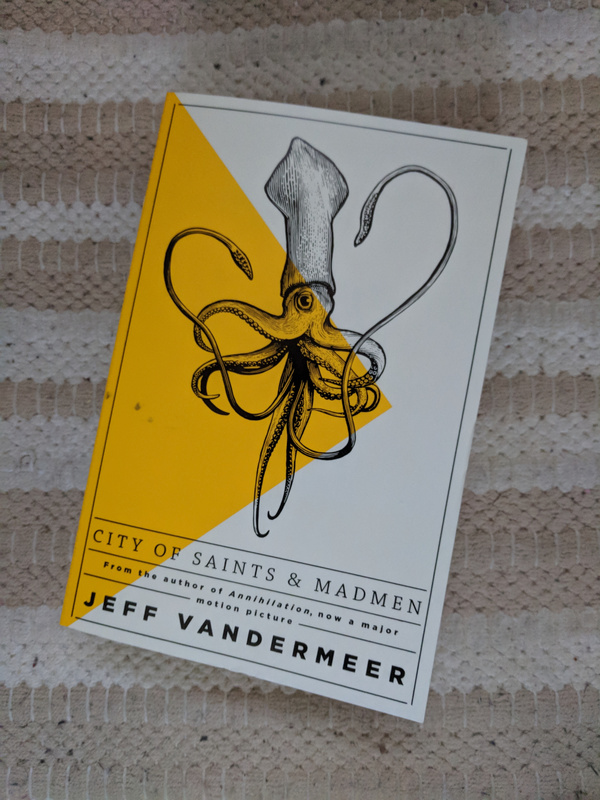 On this occasion I limited myself to a single book—City of Saints and Madmen by Jeff VanderMeer. At over 700 pages, it was the best value for my money! On my last, very early, morning, on the walk to the train station, I passed another bookshop that I had somehow managed to miss! 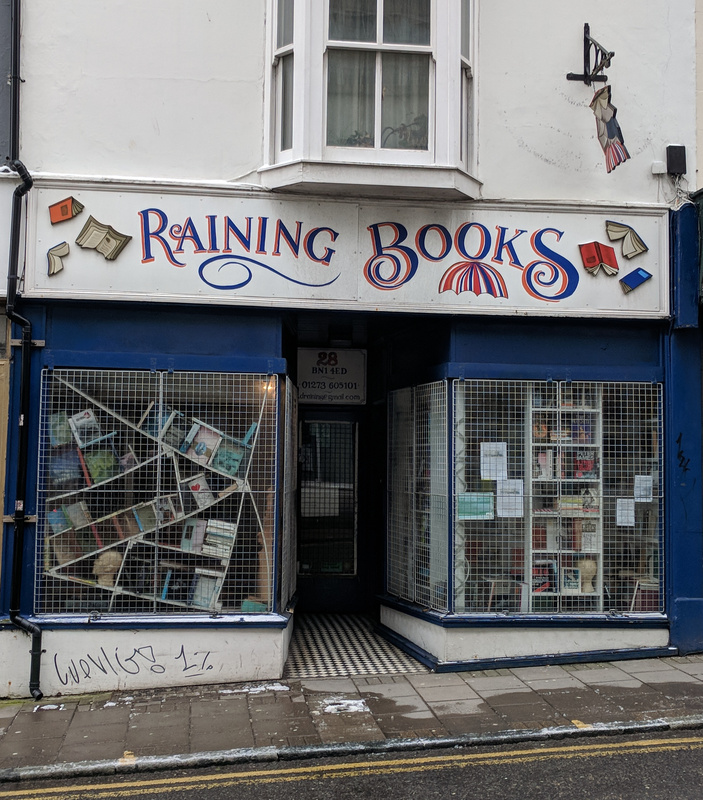 Raining Books wasn’t open at the ungodly hour I passed by, but it certainly looks interesting and fun—I can’t wait to explore it the next time i’m in Brighton! Have you been to any of these bookshops? 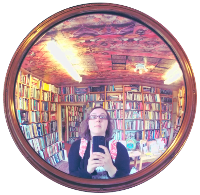 Are there any more awesome Brighton bookshops I missed!? Let me know so I can add them to my visit list! I’m not sure which i was happier about – the bookshop or the food!